I have been looking for ways to bridge contemplative mind and body practices, Unitarian Universalist Principles and values (especially around social justice), and find a meditation structure that would interest our youth and young adults. In my Fahs fellowship research, I conducted a survey of UU religious professionals and volunteers to understand how they are using meditation in their current setting and how they envision the role of contemplative practice (mindfulness meditation, compassion practice and etc.) in their congregations. The survey results show that there is a need in our congregations for practical meditation practices, that are easy to teach, and that seamlessly integrate into the lives of participants and programs of the congregations. The results also show that there is also a need for a tool to both cope with and respond to traumatic events that arise in our communities. In the course of my research, this country was jolted into an awareness of the plight of African-American men in our all too often racist and violent country. In response, I co-created a course held currently being held in Berkeley, CA around bringing the wisdom of Buddhist practice to the issue of the African American experience of racism. What we have found in this series of courses is that many well-meaning white people are feeling discouraged by the revelation that racism and oppression are still alive and real for Black people in this country. They want to take action but many are dissatisfied that many years of scholarship in critical race theory and years of racial justice work has, as of yet, not been able to effectively uproot racism in this country. I listened deeply to people who expressed the hope that spirituality, especially, body-mind meditation practice might offer an opportunity to non-violently and effectively respond to social ills. As a results of my Fahs research and pulling from my Buddhist training; I am developing a community of youth and adult practitioners, who will simultaneously develop their own meditation practices while learning to lead meditation instruction in their communities. The project, Mutuality Movement, culminates in individuals and communities who are spiritually mature and prepared to carefully engage in the practice of solidarity activism. Mutuality Movement is a contemplative response to the Black Lives Matter movement that provides tools for youth and young adults to affect change through the practices of solidarity and meditation. Acknowledging the youth leadership in the Black Lives Matter movement, Mutuality Movement trains youth and young adults to lead public meditation sessions, focused on the development of compassion while offering a non-violent opportunity to publicly resist systems of injustice. Mutuality Movement also encourages the development of covenant groups or sanghas, whose primary practice will be to respond non-violently to the problem of racism in America. Rooted in Buddhist meditation, it is compatible with Unitarian Universalism in teaching mutuality in praxis. Mutuality being that understanding of the interconnectedness of all beings and the resultant covenantal commitments to be in supportive and advocating relationships with our fellow humans. This program offers the opportunity to expand our faith beyond the walls of our congregations and into those communities in need of a sacred commitment from justice-oriented and faithful individuals. The Rev. M. Jamil Scott serves as the Director of Religious Education at the Unitarian Universalist Church of Fresno and is a 2014 Fahs Collaborative contemplative education research fellow in collaboration with Meadville Lombard Theological Seminary. He is completing his Divinity studies at Naropa University and is an ordained Buddhist minister by the International Order of Buddhist Ministers. Rev. 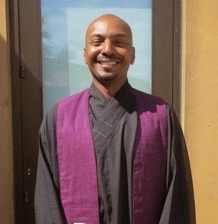 Jamil is active in faith based social justice work with the organizing group Faith in Community and the Buddhist Peace Fellowship. I was fascinated in my college biology studies by the phenomena of vestigial attributes in animals – traits that have lost all or most of their ancestral function. Naturally the vestigial features of humans such as our appendix, wisdom teeth, tailbone and goose bumps were the most interesting to me. I wondered about the random turns on our evolutionary path that caused these attributes to become functionless, and pondered what natural selection had in store for our future. It’s been with considerable consternation that this concept of vestigial attributes leaped back into my mind in observations of UU congregational life – specifically around practices of our congregational polity. For much of our modern history UUs have allowed the covenantal practice of congregational interdependence to atrophy while nurturing congregational independence as if it were the path to advanced development. Whereas in biology vestigial traits result from chance evolutionary occurrences, conscious or semiconscious choices of church leaders determine which vital attributes of our religious heritage remain essential for a vibrant faith movement and which become historical tokens. For too long we’ve made unwise choices in our preference for the independent agency aspect of our polity, while neglecting the more adaptively sound and life-giving ways of covenantal interdependence. Through our siloed habits of we literally risked taking our faith movement on a path toward an evolutionary dead-end. 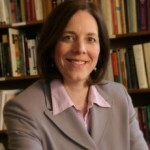 Fortunately, recent years have seen a renewed appreciation for ways of interconnection among congregations. Most encouraging to me are developments in multisite ministry – formal or permanent types of congregational networks that organize for increased capacity and outreach. On the Unitarian Universalist Multisite website and Multisite UU Facebook page you can read and hear stories of existing and emerging multisites. There are congregations becoming better together around shared staff, shared programs or themes, creating partnerships with emerging groups, merging into multi-campus churches with a common mission, and more. With growing interest in such bold experiments new forms of congregational networks are appearing. For congregations long removed from substantive connection with other congregations, multisite ministry can seem a huge stretch, if not downright threatening to an accustomed way of being church. While formal multisite ministry isn’t meant for all congregations, meaningful covenantal relationship with sister societies is for everyone. What do your congregational leaders know about the initiatives, hopes and concerns of your nearest sister congregations? What do their leaders know about your congregation? What if your boards met to get to know one another and left committed to helping further a hope or address a concern together? What would it take for yours and neighboring congregations to belong to each other? For grins let’s return to analogies from human evolution. I’ve got my holy wager on old habits of isolation becoming vestigial and the ways of robust interdependence like multisite ministry becoming the opposable thumbs and large brains of our faith’s future — adaptations that align our values and resources to raise our capacity to transform lives. When he’s not idling away his time comparing congregations to animals and rocks, Joe Sullivan serves our Association as a member of the New England Region staff team and a member of the Multisite Support team of UUA field staff. I’m writing to you in my role as Endorser of Military and VA Chaplains, to encourage you to take the opportunity of Memorial Day this year to do more than light a candle or lay a wreath in memory of those who have died in service to our nation. I believe that we as Unitarian Universalists have left out our veterans, service members and their families largely through benign neglect. Yet our veteran population is hurting, and in need of the kind of transformational religious community we offer. Our soldiers, airmen, sailors, marines and “coasties” (and their families) are an amazing, diverse, largely young adult population who could benefit from our brand of faith – one that by and large isn’t available behind the barbed wire. 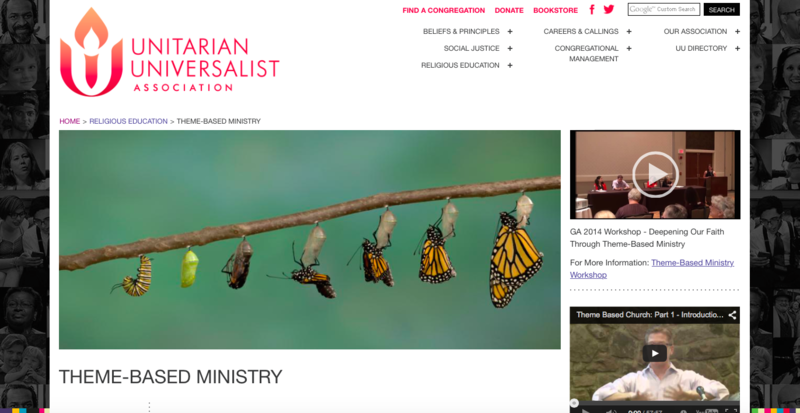 The UUA has created a free online curriculum called the Military MinistryToolkit to help create an open and welcoming space for this population. Welcoming military members and veterans is not in conflict with advocating for peace. In fact, deeply engaging with the moral and spiritual issues related to our collective war-making is arguably only done authentically in relationship with those who have born witness to war. Many of our veterans have deep religious and theological questions to work through, and our open approach to religion is a potentially life-saving, heart-healing opportunity – if only we would more fully explore the culture, issues, and realities of military experience and life, and be more intentionally welcoming. I ask you to consider attending the workshop Military Ministry: Serving Wholeness in Congregations and Beyond, Thursday 6/25/2015, 1:15PM – 2:30 PM, if you are attending General Assembly, or simply jump in and use the Toolkit in your ministry setting where possible. If you need support, feel free to reach out directly. You can also view a recorded webinar on utilizing the Military Toolkit. I am a very good assassin. Oh, and mage, archer, and sword-wielder. I can sneak around, plunder booty, plant traps and pounce on enemies with the best of them. As long as I don’t have to go head to head with a quick-reflexed middle-schooler, I stand a chance of kicking some serious hiney. I played Pong, PacMan, Asteroids, and Tetris long before the high-def graphics and complex controllers of modern video games. 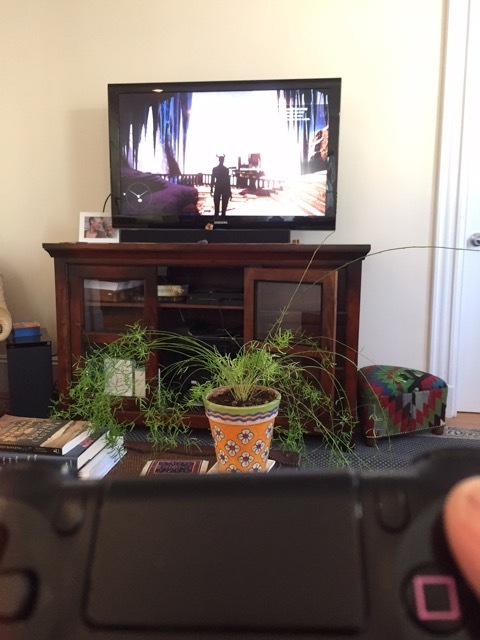 I’ve made uneasy peace with the blood-spattered, first-person shooter world of today’s games. What I’ve never made peace with is the misogynistic, often outright racist and almost always exploitive storylines of modern games, where women are tiny-waisted, big-busted trophies when we appear at all. But then I happened upon the world of Dragon Age, where women are diplomats, generals, villains, warriors and loyal companions. They are all wearing clothes, all the time. There are also beings with a stunning array of skin color, gender expression, accent, talent, variety of evil, and level of spiritual maturity. There are people with wicked strong bodies hidden under tough armor with short hair and women’s voices. 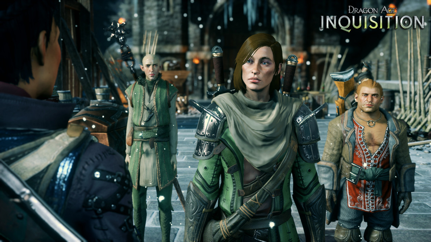 It’s no wonder that the latest version of Dragon Age just won special recognition at the GLAAD Media Awards. Bioware, the creators of Dragon Age, have done something all congregational leaders can learn from. They’ve taken a platform which is at best mono-dimensional and at worst offensive and made a thoroughly engaging world of rich diversity. By avoiding assumptions about the kinds of lives players want to create and by not setting technical limits on that imagination, the creators allow players – and our identities – to roam free in the game space. They’ve abandoned the dominant culture of gaming and retooled it to reflect more of who more of us are. As congregational leaders we could think of ourselves as creators of playful platforms where we remove barriers to imagination and participation and give our people lots of ways to experiment and roam freely. People are so hungry to play in worlds that reflect who we want to be and how we want our world to be! Our churches can be those worlds. Rev. Sue Phillips may or may not have spent an entire weekend doing “research” for this article. She wouldn’t dream of boasting that she is a level 19 rogue with 200-defensive point armor who can crush malevolent spirits with paralyzing spells. 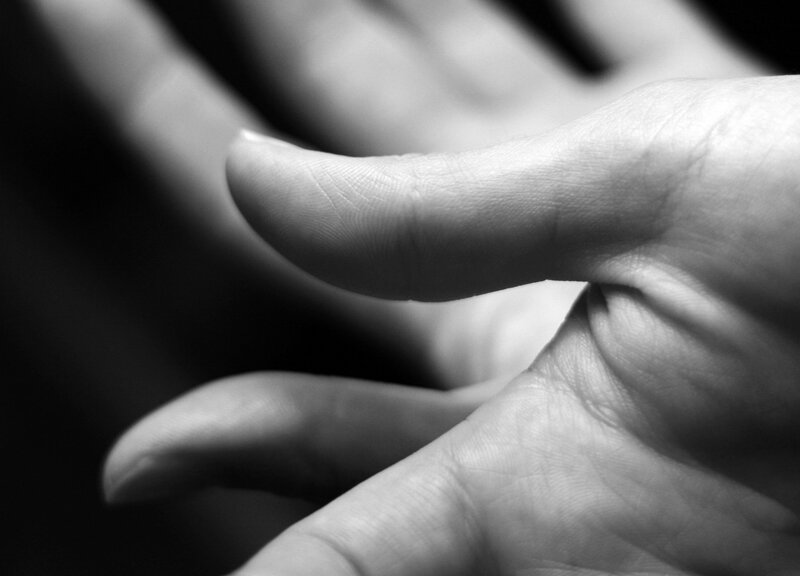 Church consultant Thom S. Rainer recently published two articles about church bullies. While I appreciated Rainer’s advice about this kind of misbehavior, I struggled with the word “bully.” Such a loaded term. In order to address a problem strategically, it needs to be described in language that feels fair and doesn’t add fuel to the fire. As an alternative to naming bullies in your congregation, I encourage you to consider who has power. A simple definition of “power” is the ability to influence. Power isn’t inherently a bad thing, of course. In fact, much of the time (most of the time, hopefully), it’s a very good thing! In thriving congregations, power is abundant. The five types of power are neutral. Learn to recognize them in yourself and others, and pay attention to how people use them. Whom do you associate with each type of power in your congregation? When have you witnessed people utilizing their power so that your congregation could live out its best values and fulfill its mission? 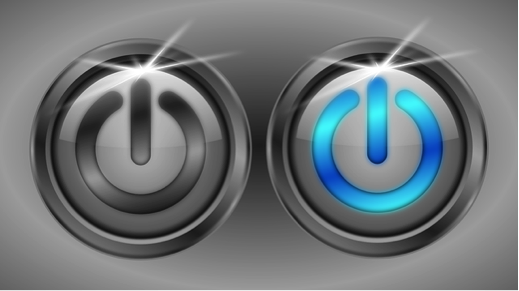 Which types of power do you hold? Which would you like to hold? Okay, back to the topic of Rainer’s articles. From Nine Traits of Church Bullies, a bully is someone with an agenda who seeks allies (individuals or groups) to help them push it. This congregant will often have an enemy: a person, program, or process that is interfering with their agenda. 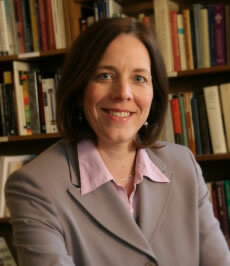 Maybe you have a picture in your mind of someone like this in your congregation, past or present. Remember, displeased and demanding people only cause chaos and division if they have some form of power in the system. Without power, they don’t gain traction and they’re just a thread in the tapestry of your congregation. If you have a congregant who has an uncomfortably loud voice in congregational matters, who is intimidating others with their intensity or going to lengths to get their way, think about which kind(s) of power they are using. Simply by articulating the nature of someone’s power, you should begin to see your way toward resolving the difficulties they are causing. Keep your own power positive by avoiding inflammatory language. I recommend reframing Rainer’s Nine Ways to Deal with Church Bullies as ways to address a congregant’s misunderstanding or misuse of their power. 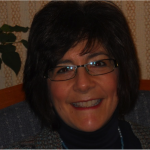 Jan Gartner serves as UUA Professional Development Specialist. 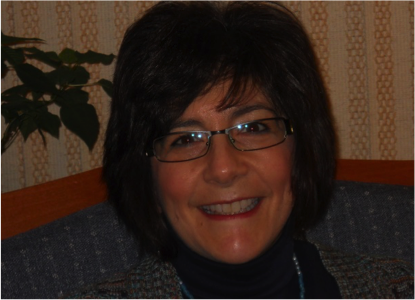 Her mission: to liberate and leverage the potential of congregational staff! Jan telecommutes from her home near Rochester, NY. She is a joyful soprano in the choir at First Unitarian Church of Rochester. Many thanks to all on the Congregational Life team: Scott Tayler, Beth Casebolt, Tera Little, Phil Lund, Kim Sweeney, Karen Bellavance-Grace, Maggie Lovins and Pat Infante and in the Faith Development Office: Jessica York and Pat Kahn. 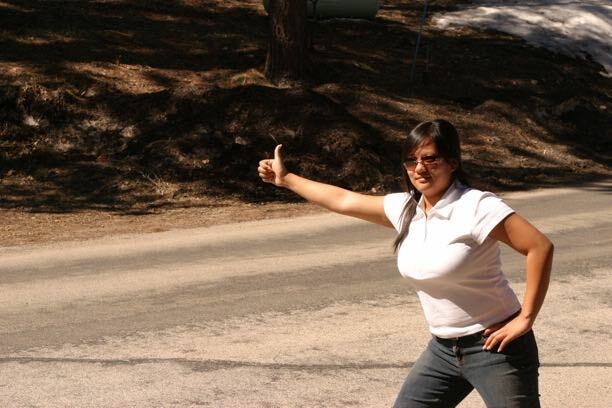 Once, I hitchhiked to the UU Fellowship of Falmouth. I was 20, living in Woods Hole, MA for a winter where I fell in love with snow-covered beaches in January and I learned that a hankering to go to worship can land you in a stranger’s car, mug of tea balanced on your knees, speeding toward church. When I walk into UU congregations, whether it’s First Parish in Cambridge where I am the Affiliate Community Minister or the UU Fellowship of Falmouth on that random, cold, Sunday morning, I feel instantly at home and also almost as instantly, alone. I’m at home because this is the faith that raised me – I know the hymns and rituals and the rhythms. I know that whether I’m a second grader in floral bike shorts and matching socks or a twenty-something hitchhiker, I am welcome. I also felt alone because I hold identities that are minorities within our movement – I’m a young adult, a millennial and I’m a person of color. When I sit in churches, I feel the gift and weight of those identities – the blessings of my ancestors, the strength and resilience of my heritage, and also the expectation that I might help our faith move be transformed and transformative. It can feel like an honor and a loneliness, a charge and a burden. 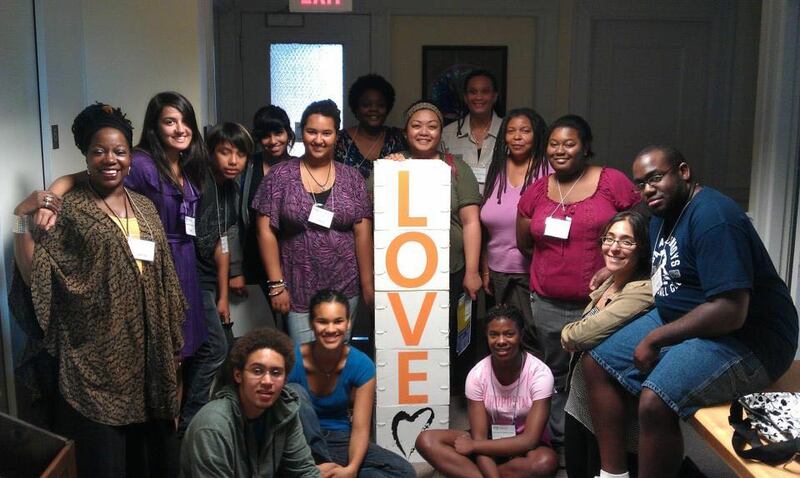 This year summer, for the fifth year, the UUA will host Multicultural Leadership School, a gathering for UU youth and young adults of color from July 10th-July 14th, 2015 at the Walker Center outside of Boston. MLS is place for UU youth and young adults of African Descent, Caribbean, Native/American Indian, Asian and Pacific Islander, Latina/o and Hispanic, Middle Eastern/Arab, Multiracial and Multiethnic to deepen our faith, lift our spirits, and build critical skills for leadership in the face of our uncertain, broken and beautiful world. Because we are so often alone, even when we are at home, we must find ways to be together. To grow our vibrant Unitarian Universalist faith, we must carve out communities of support and connection for those of us who so often hold identities alone. Rev. 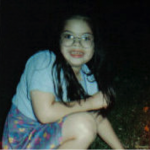 Elizabeth Nguyen is the UUA Leadership Development Associate for Youth and Young Adults of Color and in this picture her socks match her bike shorts. I love to cook. For me, it’s an art form, a means of sharing my caring with others, and a meaningful spiritual discipline. My idea of a perfect vacation is traveling the BBQ competition circuit and my all-time favorite book is Supper of the Lamb by Episcopal priest and theological chef, Robert Farrar Capon. 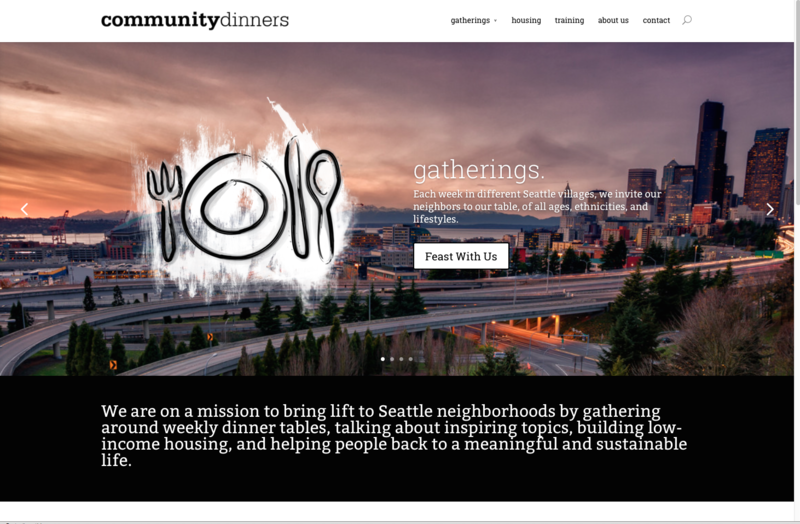 So when I read the story about Community Dinners in Seattle, my inner ‘Julia Child’ cheered. Community Dinners is a church in five locations that has not only moved out of its four walls but completely reinvented what it means to do and be ‘church’. Seven years ago, the Westminister Community Church, like other urban congregations, faced declining attendance and wasn’t sure about its continued survival. They reacted by digging back into their roots and asking themselves: “What would Jesus be doing with his time if he actually lived on the corner of 145th & Greenwood?” (the location of the old church.). They came to the conclusion that they, like Jesus, should be investing their time to help lift the lives of people in their surrounding community in a more meaningful way. 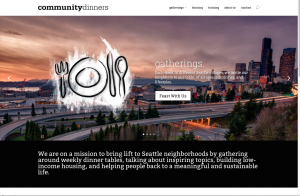 What happened is that one dinner gathering each week in one location has now become 5 dinner gatherings each week in five different neighborhoods in the city. Attendance is growing from around 200 on a Sunday morning at the old church to nearly 1000 each week at the different dinner gatherings combined. Their goal is to host 27 different gatherings each week, one in each of Seattle’s 27 neighborhoods. The old church building is now rented to a school. A typical dinner begins with a reading and a prayer followed by conversation during dinner and more conversation with those who stay afterwards. Local musicians often provide instrumental music during dinner and different visual artists provide color. Continuing to ask “What would Jesus be doing with his time,” they have added a housing construction component to the food, music and art. They are now engaged in a project to build affordable housing units throughout Seattle. You may also be interested in this May 2013 article about this special congregation.